SAITAMA - Double Olympic champion Yuzuru Hanyu skipped his opening practice Monday at the World Figure Skating Championships, with compatriots Shoma Uno and Keiji Tanaka also no-shows at the morning session. The Pyeongchang and Sochi Olympic Games men’s gold medalist was scheduled for an 8:05 a.m. skate at Saitama Super Arena near Tokyo but did not appear at the venue. Doubts remain about the fitness of the 24-year-old, who missed the Grand Prix Final and Japanese National Championships last year after re-injuring his ankle while practicing for the Rostelecom Cup in November. Problems with the same right ankle forced him to pull out of the worlds in Italy last March, a month after he returned to the ice under an injury cloud to take gold in Pyeongchang. Tanaka and Pyeongchang silver medalist Uno were scheduled to practice immediately after Hanyu. More than 200 spectators attended the morning practice session, but several headed for the doors after it became clear the Japanese trio would not appear. Of the five skaters scheduled in their practice group, only Latvia’s Deniss Vasiljevs appeared on the ice. Hanyu will be skating for a third world championship crown, having won in Helsinki in 2017 and here in Saitama in 2014. The 21-year-old Uno heads into the worlds on a high having won the Four Continents last month. In that competition, Uno showed his resolve when he finished fourth in the short program and then won the free skate to claim the overall title. It marked the first time he won a major international competition. Uno also had an impressive 2018, winning Skate Canada, the NHK Trophy and the Japan nationals. Pyeongchang team bronze medalist Nathan Chen of the United States is aiming for back-to-back world championships victories after winning last year in Milan. 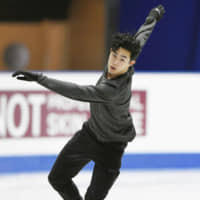 Coming off a long break from the U.S. Nationals in January where he captured his third straight national title, Chen said the plan is pretty much to stick with that program at the worlds. 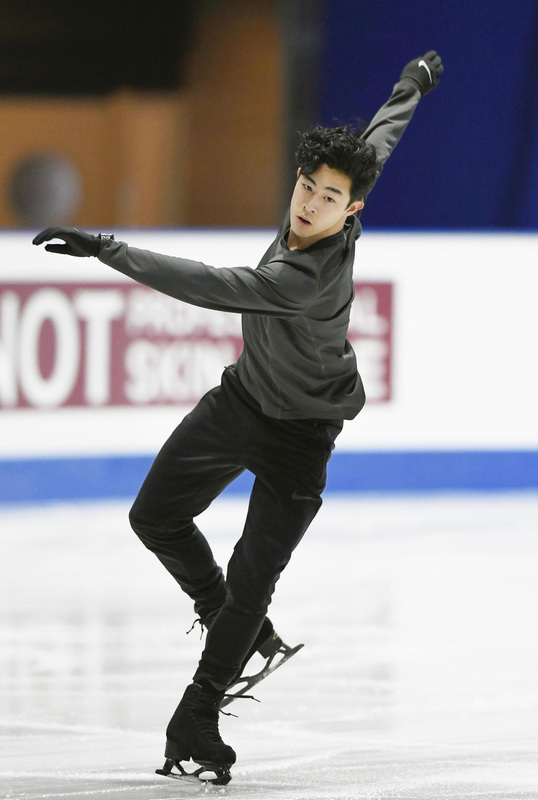 Despite the hectic schedule, the 19-year-old Chen says he has no regrets balancing skating with student life at Yale.